Self help website advice and how to make use of the information provided. Is there too much information on self help websites you don't know where to begin? A self help website is here to help you discover yourself, or teach you something you want to know such as how to set goals, or how to build your confidence and self esteem. Are you looking for that "little gem" from a self help website that is going to change your life around, or that "little gem" that is going to make you understand what it is you need to do to change your attitude, or put you on the right road to setting your goals? Finding the right self help advice will give you the answers to these questions, otherwise why would you come to self help sites? 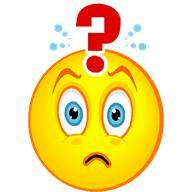 Self help websites are full of information and often it can become confusing to know which piece of advice to take. You find yourself going from one page to another to another, and then forget where you saw one piece of information that would have been really useful and eventually click out of the site altogether. You don't need to do this! There are many self improvement blogs which you can browse through, one excellent one being Pick The Brain which has a whole host of blog archives to peruse at your leisure. I will be adding more very shortly, so please BOOKMARK this page! Here are some tips on how to use a self help website. 1. Determine what it is you want to find out about. A site such as selfgrowth.com is full of self improvement articles, from health and fitness, to mental health, to love and relationships. This is a site that is easy to search for your chosen topic. Mindtools.com which has an excellent article of personal goal setting, as well as other articles such as problem solving and decision making. 2. Concentrate on that particular topic you have chosen. This way you won't get distracted by all the other information on the site. You can always come back another day for more information. Many self help websites have a site directory which makes it much easier to find the topic you are interested in. These are really useful as it means you don't have to spend hours searching for what you are after. 3. Use the information! This really goes without saying, but you would be surprised how many people are "passive" and just read but take no action. You have obviously come to this site wanting to learn or find out about self help advice. 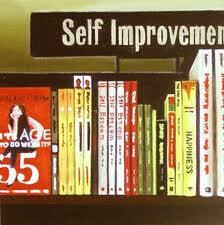 The only problem with self help advice is that it is such a huge topic that you can become easily distracted. So, once you have decided which topic you want to concentrate on, get some paper and take notes, write down what is said and take action. Use the information in these websites, it makes sense. Don't waste your time reading it all and then doing nothing with it. 4. Bookmark your favourite sites. Easy to forget, but when you want to come back to a particular site, it's easy to find. MOST and I say most, but not all, sites are updated frequently, so information is added all the time. This site is a perfect example. I will be adding links here as and when I find reputable and informative sites, so please come back often! Subscribe to their RSS feeds for up to date information, and if you can, participate in forums that they have, or ask questions and get answers. So, take time to use the information on these self improvement websites if you really do want to try and help yourself!